“I Am Canada” was a video submission by Hawthorne Village Public School for Racism Stop it! National Video Competition. 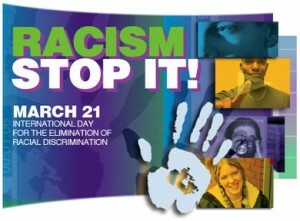 The competition was started by the Canadian government in 1996 to motivate youth to share their views on eliminating racism. The competition is an initiative in recognition of March 21st, the International Day for the Elimination of Racial Discrimination. For information on the video competition visit: http://www.cic.gc.ca/english/department/media/backgrounders/2009/2009-03-24.asp. “I Am Canada”, the video entry is a portrayal of diverse Canada. The video seeks to put forth the message that regardless of how an individual appears they are Canadian and prejudging an individual as a “foreigner” based on perceived differences is a mistake. The video seeks to educate that Canada “is built by many people from many different countries and cultures coming together to make one nation” and “judging people based on race is choosing to ignore we all come from somewhere”. It seeks to educate that it is diversity and cultural difference that makes Canada who we are. For the video click: http://www.youtube.com/watch?v=30AFFhn-868 and the YouTube channel for the competition http://www.youtube.com/user/march21mars?watch.